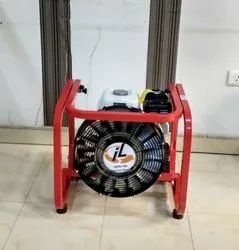 Providing you the best range of portable smoke extraction fan with effective & timely delivery. Keeping in mind the diverse requirements of our clients we are involved in offering a wide range of Smoke Extract Axial Fan. These are used in various industries and are highly durable in nature. PPV is used for initial fire attack to create and maintain a positive pressure inside the structure. Firefighters only have minutes to attack and suppress the fire before it gets out of control. ventilation requires equipment that is designed for fast attacks with maximum effect.